In order to succeed in a corporate world or with your team members, it is wise to spend some time figuring out your personality traits, strengths, and weaknesses. Enneagram is a powerful personality system that enables you to figure out what makes you tick and how you can change things around to work with others in a more positive fashion. Know Your Type uses this system to identify your personality traits on iPhone. Know Your Type shows you which of the 9 personality areas you belong to. 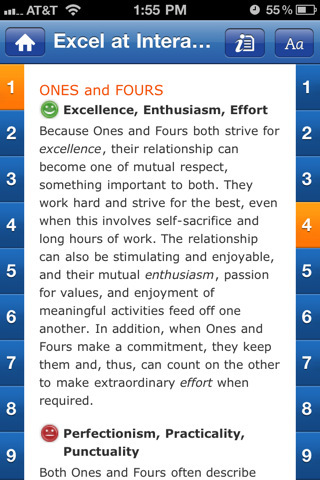 It describes each of these areas and even shows you how you match up against other personalities in your team. This is a great feature to reduce conflict and focus on creating more productive relationships. 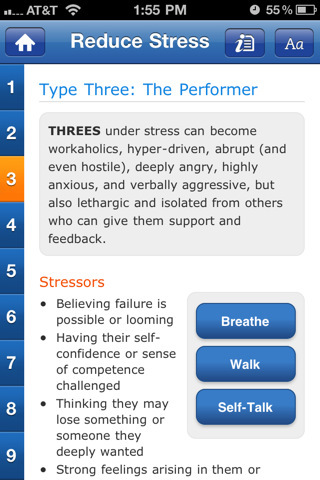 Know Your Type does have a stress relief feature to help users relax. It does have tools to help you get started with your journey in self-development. Not sure whether you have mastered the art of working with others to get things done? You can always test your knowledge in this app. Know Your Type is a helpful tool for those who make a living out of interacting with others and working in teams. It figures out your personality traits and matches them up against those of your colleagues’. This could be an eye opener if you have never tackled personality systems in the past.